Explain how automated shading systems can be used to manage glare and minimize solar heat gain, save lighting and HVAC energy, provide occupants with access to daylight and views, and satisfy green building codes and LEED rating system criteria. Differentiate between the new daylighting metrics developed to measure the daylighting performance achieved by a design. Quantify the impact that automated shading systems have on the overall daylighting performance and energy use of a space when compared with the daylighting performance delivered by manual shades. Describe the daylighting and energy savings results realized by The New York Times Building and published in the post occupancy study. The Washington, D.C., offices of international law firm Nixon Peabody use an automated shading system to maximize the presence of beneficial daylight in the workspace. Shades lower to manage glare and minimize solar heat gain and raise to admit soft, ambient daylight whenever possible. The evolution of daylight management solutions from problematic to code-mandated is evidence in itself of the development that has taken place in the daylighting industry over the past few decades. Concentrated efforts from the scientific community, designers, and manufacturers have created an environment where the theoretically plausible, technologically possible, and practically prudent have been leap-frogging one another, creating instances where certain aspects of daylighting were possible before the terminology existed to discuss them or the benefits of their application had been proven. Automated shading systems have been at the forefront of the daylighting discussion for some time. Now, these systems are scientifically proving, through experimental and post-occupancy studies, that they are a crucial component of a daylight management solution. Third-party research conducted by industry leaders has concluded that automating the shading system, instead of relying on the constant manipulation of manual shades, optimizes the position of the shade throughout the day and maximizes the amount of usable daylight allowed into a building, while mitigating glare. These automated shading systems also assist the HVAC system, while protecting occupants and the interior from solar heat gain and direct solar radiation. 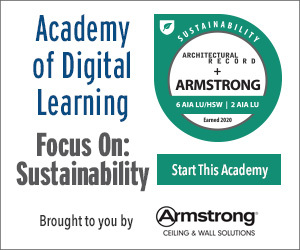 This course will take a closer look at how the daylighting discussion is evolving, review the results of studies that examined the post-occupancy performance of automated shading systems in The New York Times Building, explore the impact that automation can make in terms of effective daylight management, and compare and contrast a few of the different automated daylight control solutions available today.